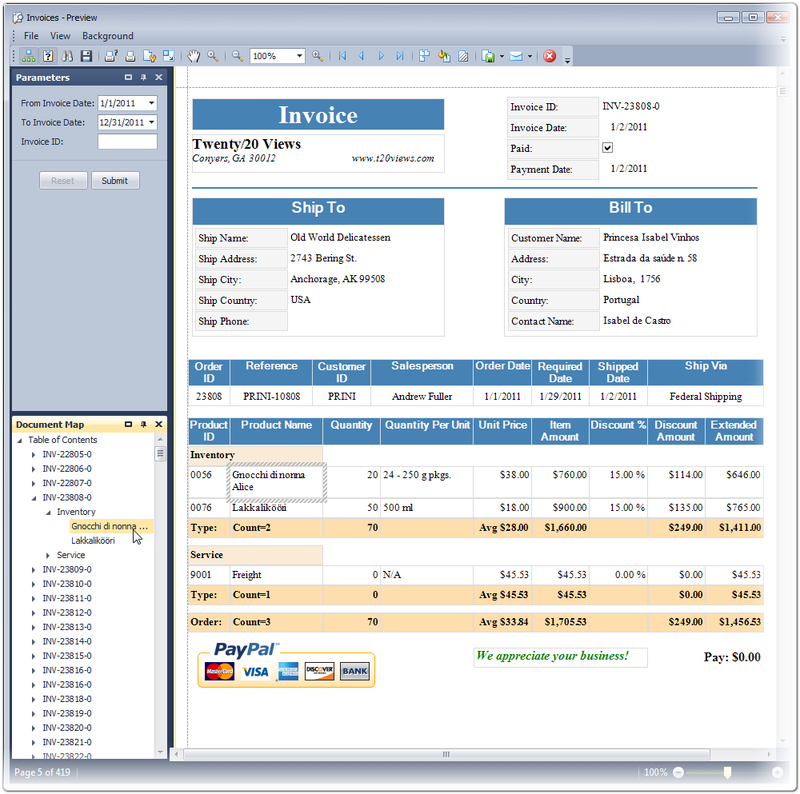 Twenty/20 Views is a Windows-Form based application that adapts the Microsoft ® Outlook paradigm in formatting and presenting data retrieved from your favorite data store. 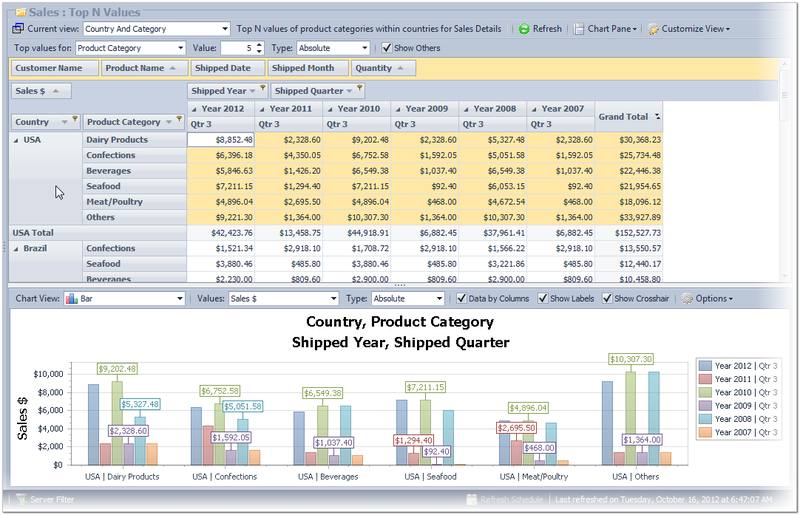 Resulting data is presented in a Grid View; a Report Print Preview; a Pivot Grid; or in a variety of Chart Styles; as configured by you the user. This panel style is utilized in the user configurable presentation of your transactional data in flat or hierarchical fashion as defined by the Administrator. This panel style is utilized in the hosting of print previews as generated by the full featured built-in report-writer based on report specifications defined by the Administrator. 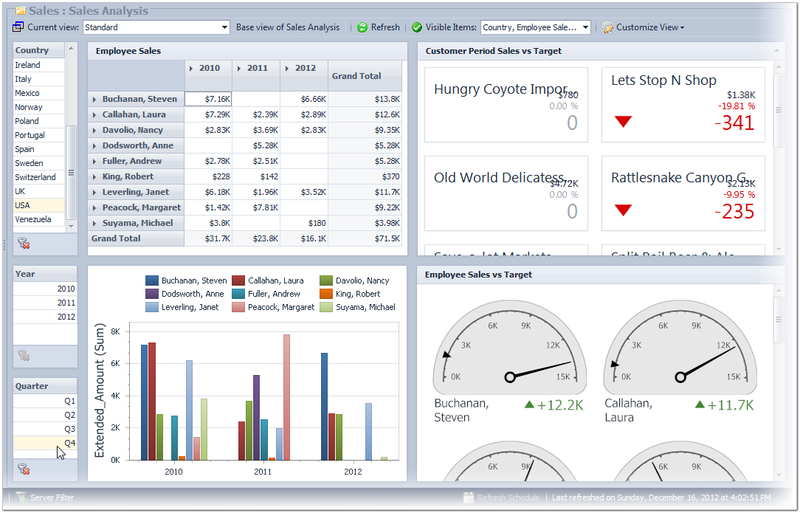 This panel style as well as its sub-panel, Charts Pane, is utilized in the user configurable presentation of your summary data in a Microsoft ® Excel-like pivot table, thereby providing support for the ‘slicing and dicing’ of your data as desired. This panel style is utilized in the user configurable presentation of your data in a variety of item styles in any desired combination, and along with the usage of its ‘master filter’ feature, attempts to satisfy your Analytics needs. 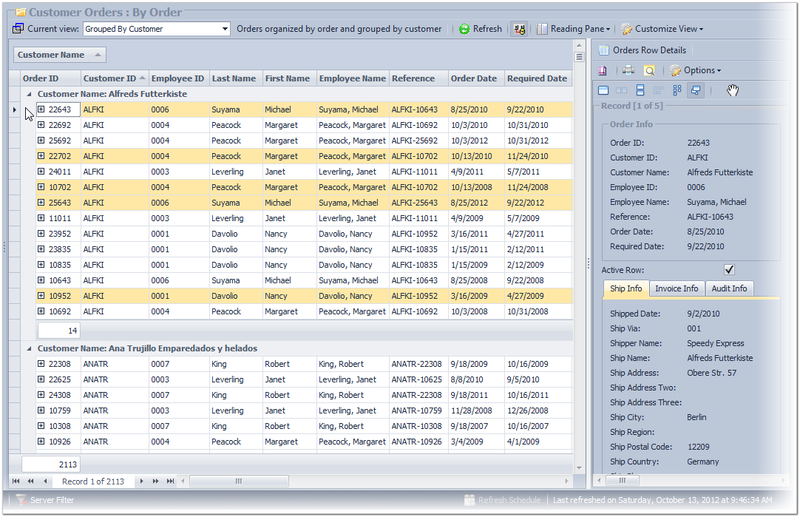 Note: The Dashboards panel style is currently under construction. Please watch this page for announcement on its availability. Your data, as rendered in any of the above panel styles, may be exported (by the authorized user) in a what-you-see-is-what-you-get fashion to any of the supported export formats (Print, xls(a), rtf, pdf, html, xps, e-mail). Twenty/20 Views retrieves its data from a variety of data sources, with each module having its own (or shared) data source. Using the Module Edit panel, as accessed from the application’s Module Designer content page, the Administrator (or any other authorized user) establishes the link(s) necessary for accessing the data store desired for the current module. The following data sources are currently supported. Note: If your favorite data store is not currently listed, please talk with us, together we can make it work. We invite you to browse the available Screenshots Gallery for a sampling of the various supported presentation panels, and to download (Downloads), install and test drive a full featured trial version of the application. We also urge you to utilize one of the methods described on the Contact Us page to request a call back from one of our associates to discuss how we may help you in the process of adopting Twenty/20 Views as your data retrieval and presentation medium.